See how our award winning, low cost, simple to use, US Government strength Open PGP encryption and digital signature software can solve your business problems. ArticSoft's OpenPGP PGP compatible file, email and command line encryption software ensures privacy and corporate compliance with legal regulations for complete data security. Select a relevant industry to see how you will benefit from using our PGP compatible data encryption software. Visit our Open PGP products page for file, email, instant message, and command line PGP encryption and digital signature software. See why we use PKI and not passwords to protect information. 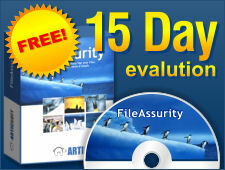 PGP compatible security software with AES 256 bit encryption. If you are looking for PGP encryption but don't like the cost or complexity of PGP software, then Download PGP compatible file encryption, command line, instant message and email security software from ArticSoft. Our PGP compatible software is simple to use and works with any instant message and email client. We even provide an Open PGP Free Reader to decrypt PGP files. Vist our information security center for introductions and in-depth guides on PGP encryption, data security, file protection, PKI, passwords and email security. ArticSoft products are built on Open Standards ensuring you are not locked into any propreitary technology. Our Open PGP security software is fully PGP compatible. Read more on our OpenPGP, PKI technology and PKI security.